Lybrate Sunfeast Farmalite Free Sample – Get Protein Biscuit Free, Did you ordered free sample of Kwiknic nicotine gum? If not then order Kwiknic free sample now, Today we has come up with another free sample offer from Lybrate. Lybrate is an online site where you can find best doctors, health tips, and medical assistance. Nonetheless, you can also book appointment with health specialists or with doctor. 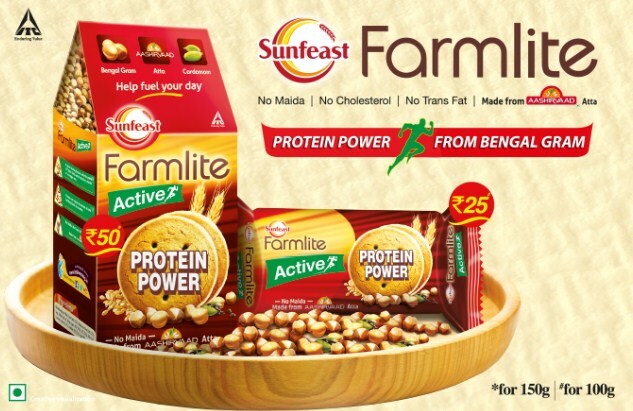 Now lybrate is offering Sunfeast Farmlite protein power biscuit worth Rs 50 at Rs 0. To claim free sample on lybrate follow below given steps. 1) Contains Chana Sattu : All natural, most indigenous protein sources helps fuel your day with sustained energy. 2) No Maida : No cholesterol, No trans fat, No artificial sweetener and is made from aashirvaad whole wheat atta. 3) Tastes like Besan Ladoo : Health biscuits will no longer be bad on taste. Here’s a truly healthy tasty offering. 2) Now fill up the form given on the right. 3) Add your first name, last name, mobile number, city, email, Pincode and your address. 4) Now enter one time password received on your mobile number. 5) Finally pay shipping charges by any suitable payment method. 6) Shipping charge is Rs 25. 7) Your free sample will be delivered at your doorstep within few days. 8) Enjoy your free sample of protein biscuit.